Scans might come a little slow since I'm not all the way done, but they'll get here.....all of em. Kicks down what looks like a reinforced steel door with ease. 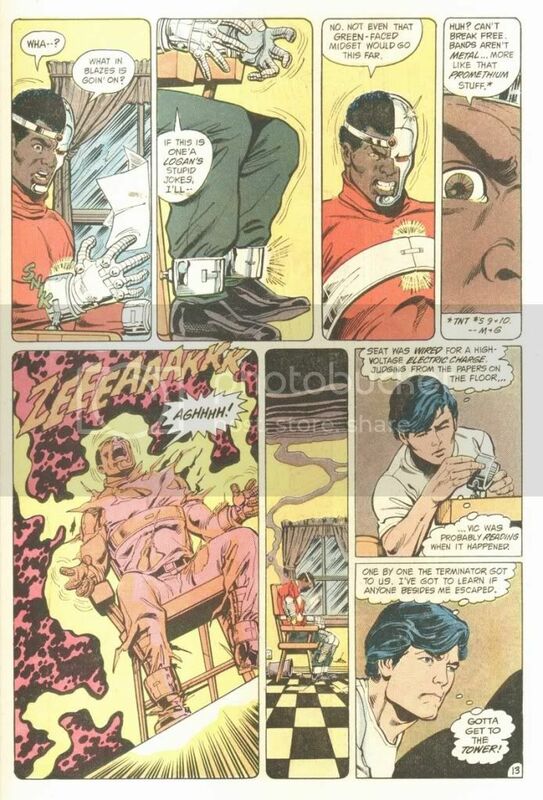 Makes short work of Cyborg with a power dampener, rescues Ravager. 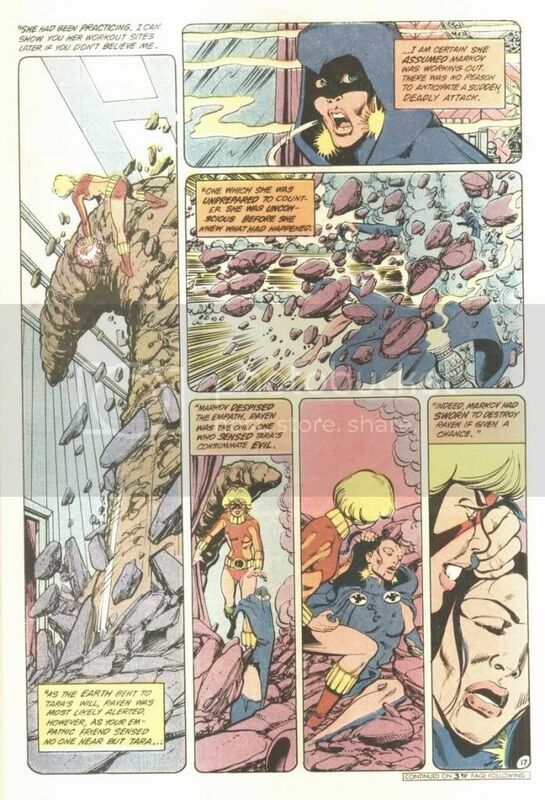 Slade Shoots her out of the sky, dodges her beams, socks her(her response was "that hurt more than it should've"), and baits her into a window. She suprises him with a full strength blast, which he easily tanks, to her amazement. She says "you still live? Impossible!". Then he brings the whole building down wiith a bomb, having already accomplished his goal. Takes out Teen Titans with prep. After I get some sleep, I'll continue posting. 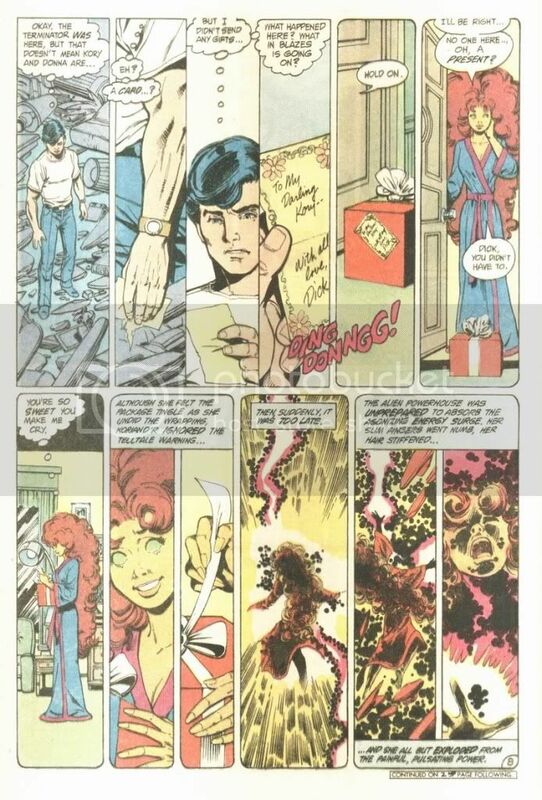 Slade "fights" Terra, Then The Titans. He dodges Starfire's Beams, again. Tanks shots from Cyborg and Beastboy, and tags Kid Flash, again. (This time he actually KOs him with one hit and grabs him. 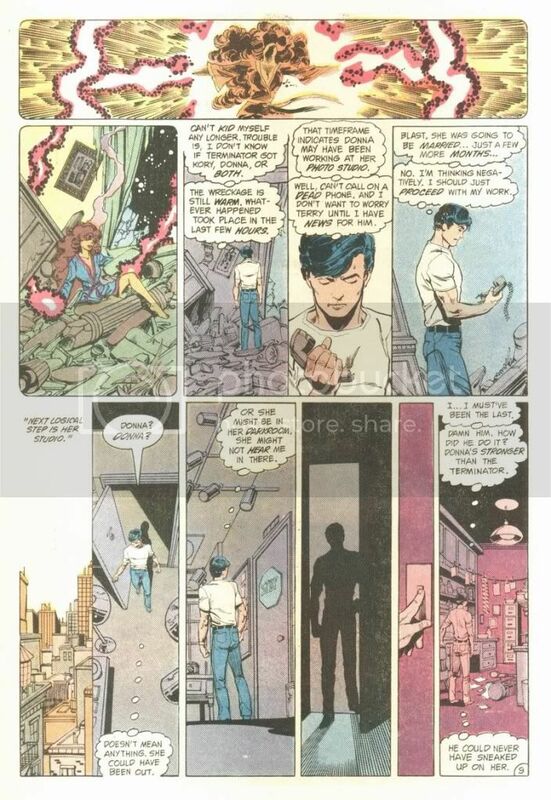 )He pretends to kill himself and escapes. Thing is, Terra is actually in cohoots with Slade. Although we'll find out in another issue that Slade instructs her to try as hard as she can against him always, to avoid suspicion I guess. 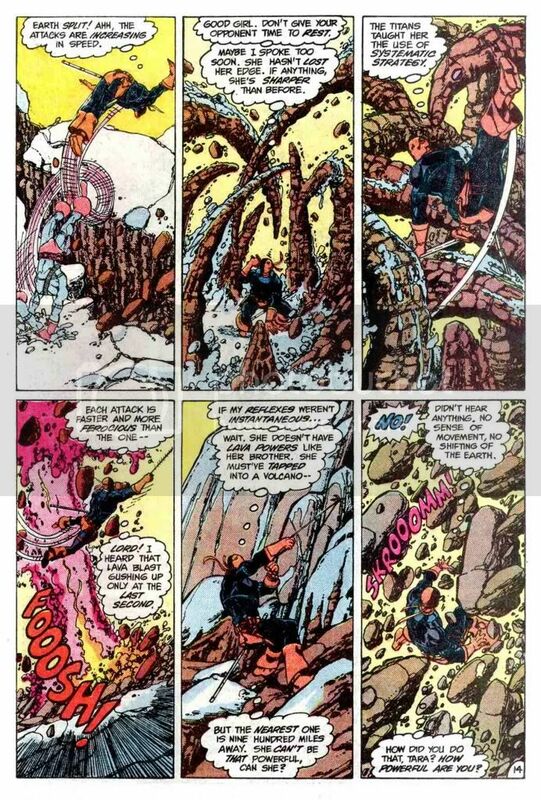 Slade evades Terra going all out in an "exercise". His senses allow him to detect subtle shifts in the ground. 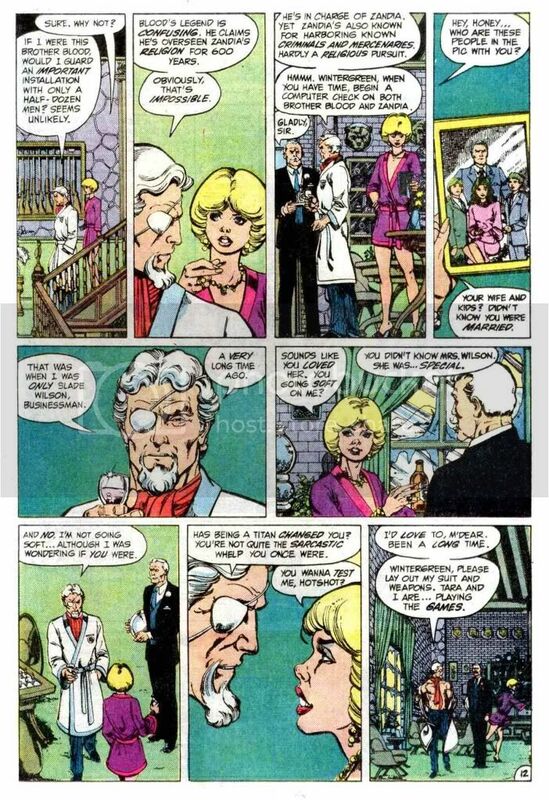 He also claims his reflexes to be "instantaneous"
Slade's origin as explained by his wife. 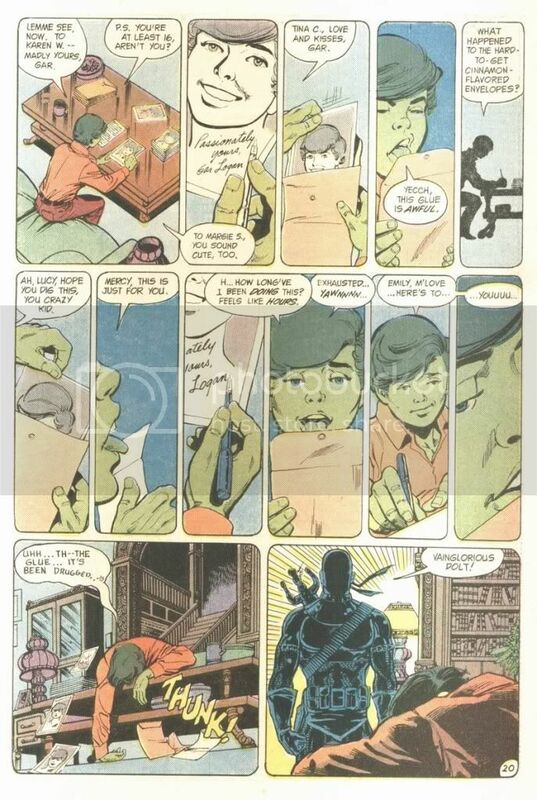 Slade evades Beastboy, who breaks into his cell to kill him. He really has seemed to gone good. amazing stuff! 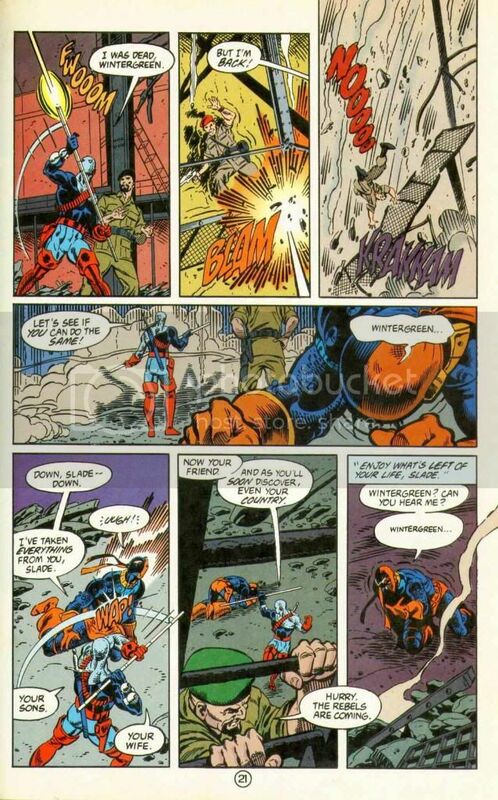 I want to see Deathstroke's healing factor please! Jumps, elbowing through a door to get a target, then owns Beastboy. punches, then rips through a wall. Slade has to kill his son, bummer. Deathstroke Vs Nightwing, Round 2. 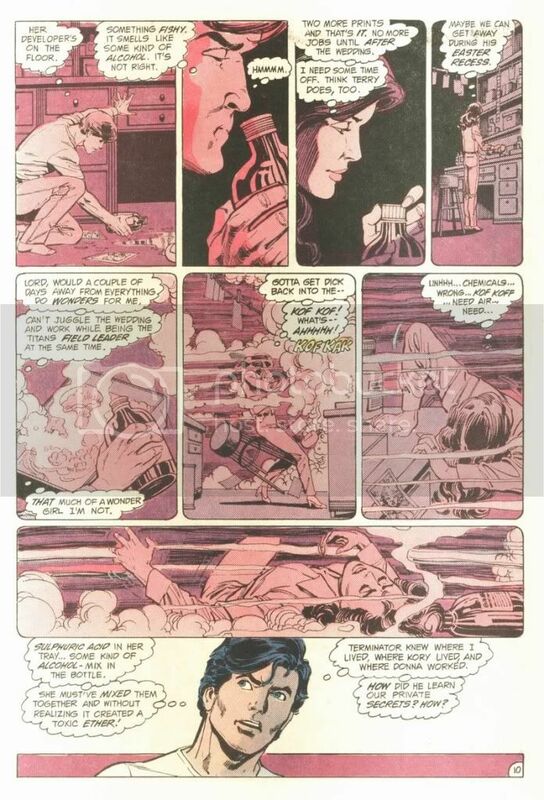 Takes out a brute in the sewers while suffering from an illness that has him extremely impaired. 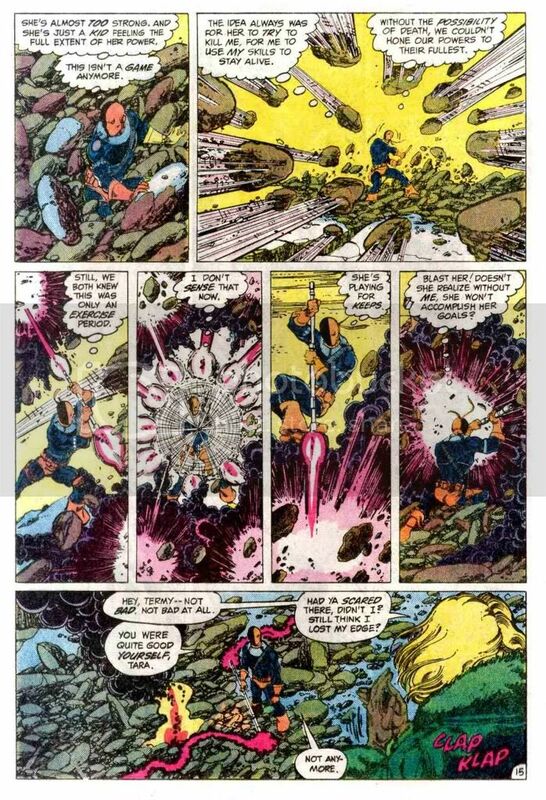 Then tanks a shot from a laser before deflecting it with his sword......all until his illness overcomes him. Damn, and not stuff taken from his solo series yet. Thanks guys. I'm gonna try and chalk this thread full of as many feats as I can......it's been a long time coming. 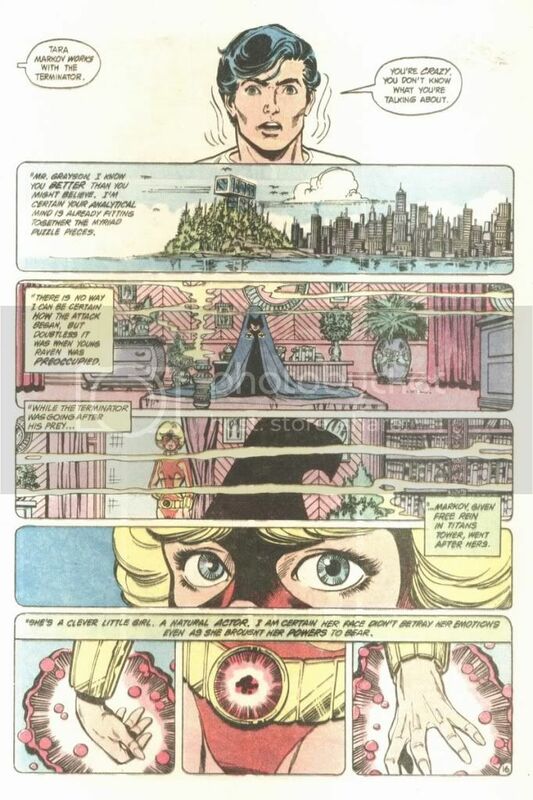 It is explained how Slade actually sees things faster than humans. 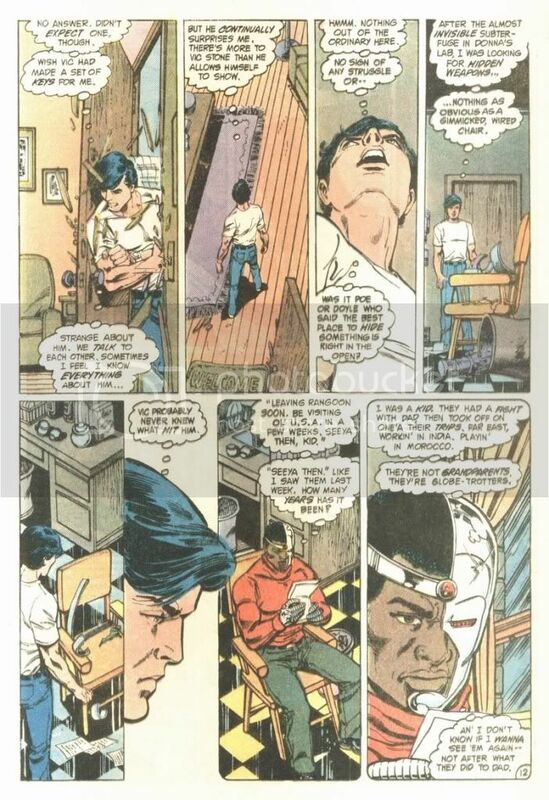 He also dodges machine gunfire, taking one to the leg, though completely undetered. 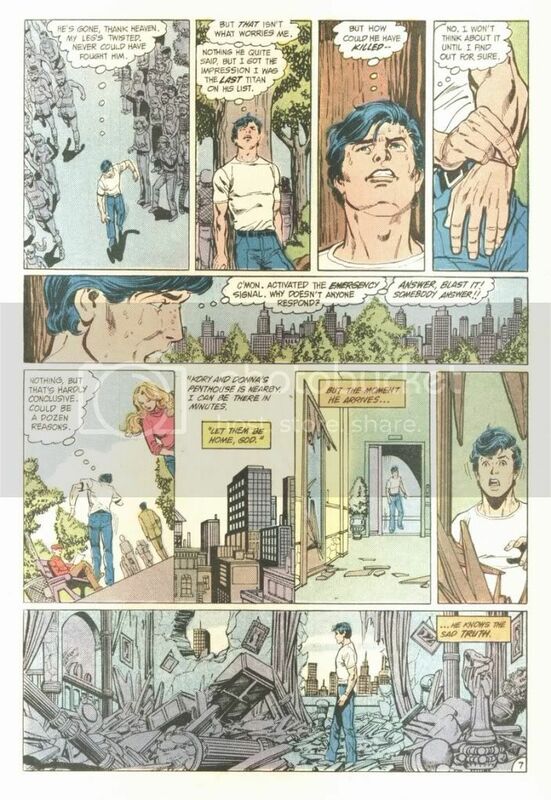 Damn DS really owned Nightwing...TWICE. 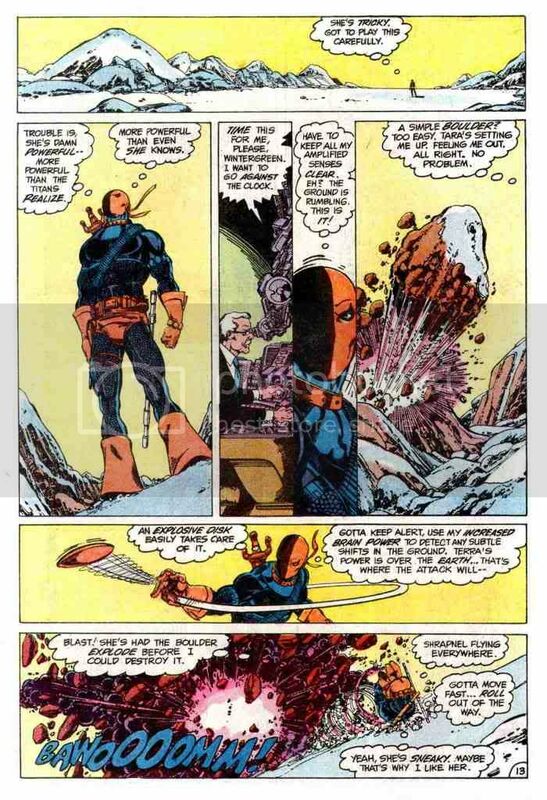 Apparently getting shot in the leg doesn't make Slade any less nimble, still evading gunfire. He also kills a man with his "non-lethal" bo-staff.